One hundred and seventy-five years have passed since god quit on mankind. Without his blessing, Hell itself, along with the ancient power of The Deep, were unleashed upon the world. Two world wars and oceans of blood later, a balance was reached. Demonkind took its place as the ruling aristocracy. Mankind, thanks to its ability to create, fell to the position of working proletariat. Alive, but not living. Lucky us. Welcome to New Golgotha, the east coast supercity. In it you will find sins and cyborgs, magic and mystery, vices without virtue, and hell without the hope of heaven. 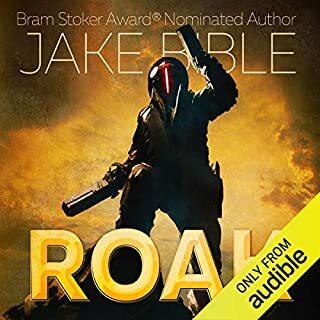 In the middle of it all is Salem, smuggler extraordinaire and immortal recluse, who has lived and fought through the last two centuries, but his biggest battle is just beginning. To Beat the Devil is an incredible adventure full of cyborgs and demons, gods, magic, guns, puns, and whiskey, humor, and heart. Follow Salem as he embarks to discover the meaning of the very nature of what mankind is: our souls. And who is trying to steal them. This is definitely a case of don't judge the book by the cover!! The cover wouldn't entice me to pick this up in a book store, but trust me when I say that you should definitely pick it up!! This was a funny, unique and addicting read. Plot wise, it was fast paced, entertaining and fun. This centers on Salem, a mercenary for hire, who has a mysterious background and one that rolls out slowly throughout the story. 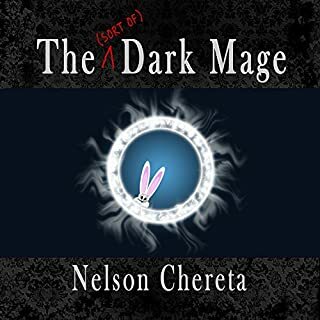 He is approached by an equally mysterious man, Father Grimm, who has a job for Salem. From the second Salem meets with Father Grimm, his life is changed forever. 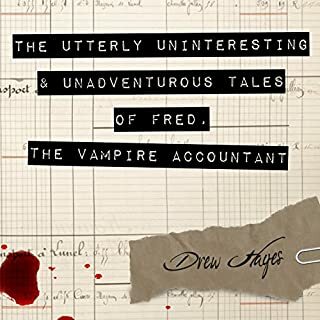 What follows is a book that is intriguing, entertaining, funny and a must read. I loved the setting of this. The apocalypse came and God had had enough. He upped and left and left the world in the hands of Demons. Now they rule the world and have a kind of deal with humanity, but with the Demons come depravity and death. 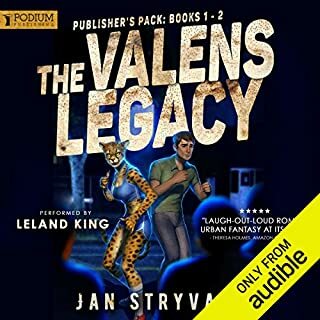 Salem and Grimm are on a course that could change the world as they know it, but along the way they have to deal with Demon armies, risen dead, and Demon overlords, to name but a few!! The characters in this were my favourite part of it. All were well written and developed and charismatic!! I loved Salem and his snarky, quirky attitude. He is a character that is memorable and easy to like. Father Grimm was mysterious and I couldn't wait to see his story unravel throughout the book. We also get some truly unique and fun side characters, that just add to the overall awesomeness of this book. In all, this was a surprising and engaging read. 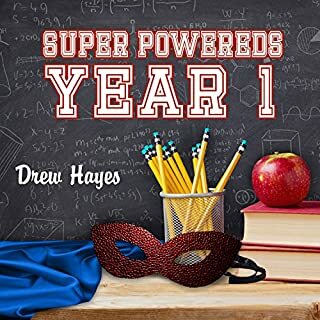 Filled with amazing characters, action, adventure, Demons, Angels, Magic, Science and enough Pop Culture references that will make you laugh out loud, it's a must read for everyone. I loved pretty much everything about this and can highly recommend. 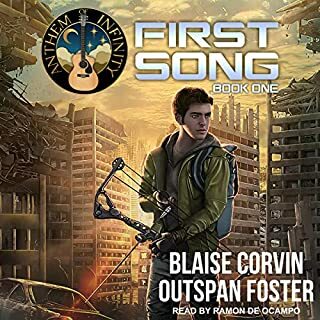 The narrator, Shawn Purvis, was really good. He had a variety of tones and voices and really put his all into this performance. He brought the story to life. I received a complimentary copy of this from the author but voluntarily reviewed it. This in no way affected nor influenced my thoughts. A brilliant story that mixes nerd culture, "Deadpool" humor, and an interesting spin on theology. Would you listen to To Beat the Devil again? Why? Yes. This is a fantastically read book and really brings the story to life. What was one of the most memorable moments of To Beat the Devil? Every scene with Nikola Tesla is fantastic. Now I want my own Serbian cyborg inventor to hang out wth. Which character – as performed by Shawn Purvis – was your favorite? Grimm was portrayed extremely well and is at once an enigmatic and likable character. I had many laugh out moments in this book. Mostly regarding Salem's tastes in music and nostalgia which closely mirrors my own. A funny Star Wars reference will always make me smile. All in all this is a fantastic foray into a world where humanity is not on top. 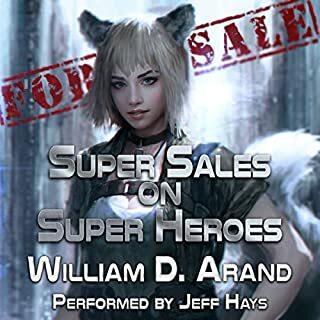 We have heroes, villains, and even gods and devils all fighting or scheming. Some twists and turns and a couple of protagonists that I really identified with. 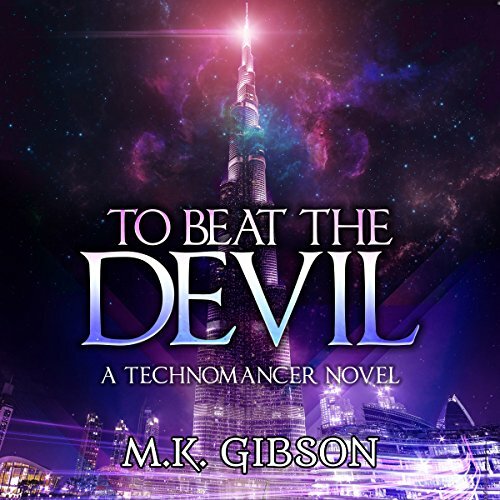 To Beat The Devil: The Technomancer Novels Book 1 by M. K. Gibson centers around Salem (a rogue human/cyborg) and Father Grimm (a mysterious mage with a heart-stopping hard side) who find themselves fighting against the bad guys (demons) since God announced his “forsaking” the people of earth. Now almost 200 years later, the battle for human souls has taken an unexpected turn and it is up to Salem and Grimm to win it! 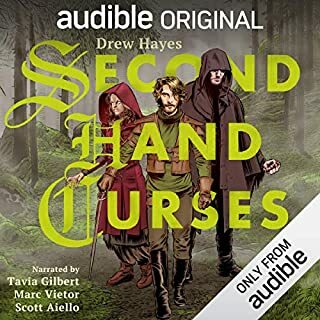 There were a lot of pop culture references throughout the audiobook; I immediately connected Salem to the Chris Pratt character in Guardian of the Universe and Father Grimm to a mix between Obi-Wan and Yoda. The references added a comedic value to the book which made it even more interesting and fun. I loved the parents and their interaction with Salem. 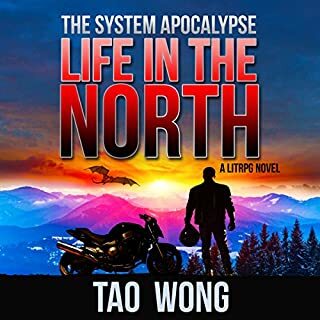 I thoroughly enjoyed this book as it was fast paced, not too techno or complicated to follow and the characters were well described and built. The use of deities from ancient mythology was impressively entertaining. I enjoyed Salem’s “fly by the seat of your pants” attitude. 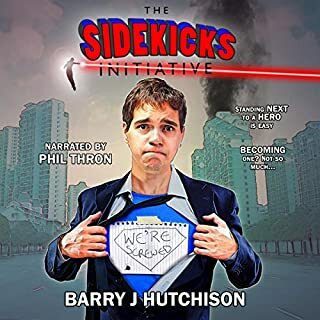 It was a perfect audiobook - creative, entertaining and fun. Gibson built the plot and characters with care and strength. It is an epic book but one that cannot be put down, it holds not only your attention but thoughts as well. 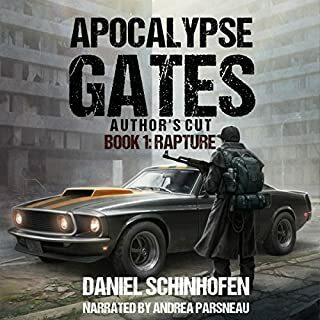 The listener may find themselves asking what if … OMG, I never thought of that … Gibson takes one action – one we never think or want to believe could happen and shows us what could happen if humankind is left unchecked. 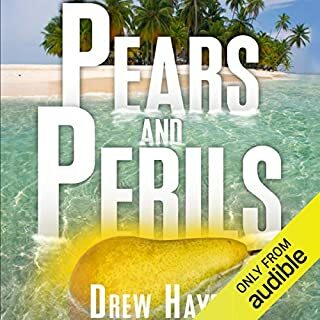 The narrator, Shawn Purvis provided a striking performance. He performed the audiobook expertly, keeping the story going at a rhythmic pace and speaking clearly and concisely. He owned the book! He jumped between characters without missing a beat keeping all the voices correct. The cover graphic pales to the content of this book. This is a great book that I would whole heartedly recommended to anyone. Devils, Demons and Gods, and magic and cyborgs. Written in a believable tone, I throughly enjoyed it! Great story, great narration. 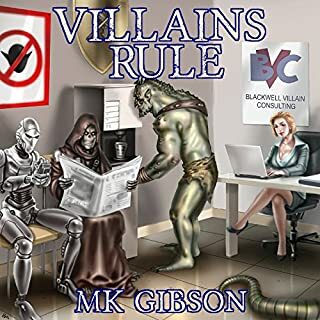 Gibson takes you on a whirlwind adventure to a world that God abandoned to the powers of Hell; full of demons, Norse gods, cybernetic samurai, and the like. The world building is great, the geeky references hit more than they miss, and there is a surprisingly emotional arc for the main character. 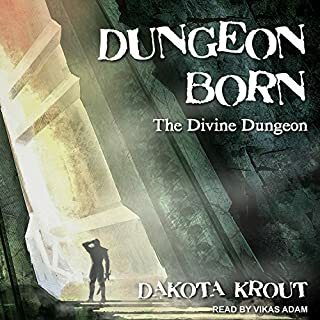 Purvis' narration is spot on too, capturing not only the main character's essence but also nimbly moving from hellspawn to Viking beserkers to robotic Russian inventors. I really enjoyed it. Love everything about this storyline. It keep me on the edge of my sit and made me laugh at the same time. Can't wait to get my hands on the next book. a perfect mash of scifi and mythology. a quality mashup of biblical and cyberpunk theme. it also can fall into the realm of kickass P.I. genre. the story captivates you from beginning to end going along putting the puzzle peices together as you go. it ingulf's you in and you will laugh and smirk at some of the interactions and awe you on some twists. A MUST HAVE to be listened to multiple times. and at the end, the 2 words uttered to end a fight will make you pull your hair out screaming and msging the auther about when the second will come out cus you will NEED to know wtf just happened!!!! *** i wish i could review it deeper but i want to leave it to you the next reader to form your own thoughts cus i know you will love this book!!!!! I absolutely love the Technomancer series by Michael Gibson. 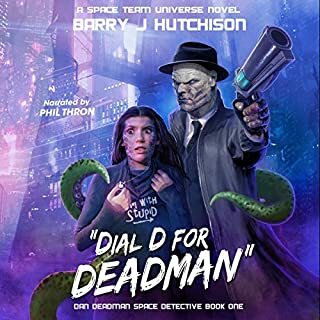 It's kind of a Harry Dresden-esque cyberpunk series where the protagonist is a goofball Chris Pratt-esque character who has a history of being only out for himself. Unfortunately, in a world where demons from hell have taken over and established themselves as rulers of the Earth, this isn't really an option anymore. Teaming up with a bunch of mercenaries and a mysterious figure named Grimm, our (anti)hero Salem is going to try to take out the most powerful demon in North America--while making a lot of pop culture references. I think people will love this if they enjoy fiction which doesn't take itself too seriously. I was 3 hours in and decided to buy the book rather then listen to his fast pace reading and boring tone. 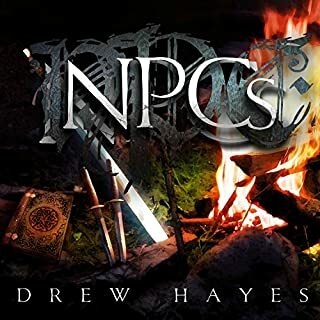 I will definitely not listen to another book read by Shawn Purvis. Fast paced, but not lacking detail. Plenty of suspense and action. Look forward to the sequel.